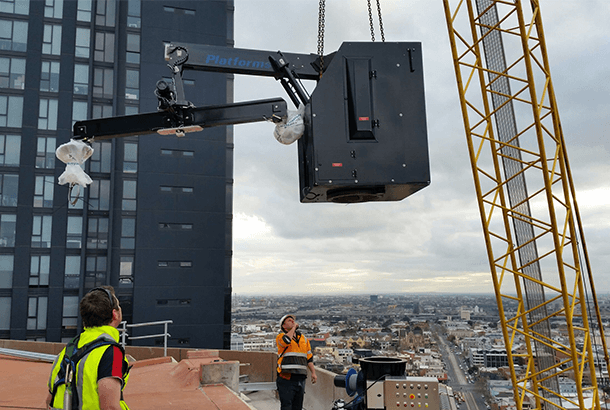 The owners of the building, PDG Group, approached GDP for advice regarding the replacement of their existing BMU. That unit was located on the level below the roof & was unable to access the entire façade of the building. 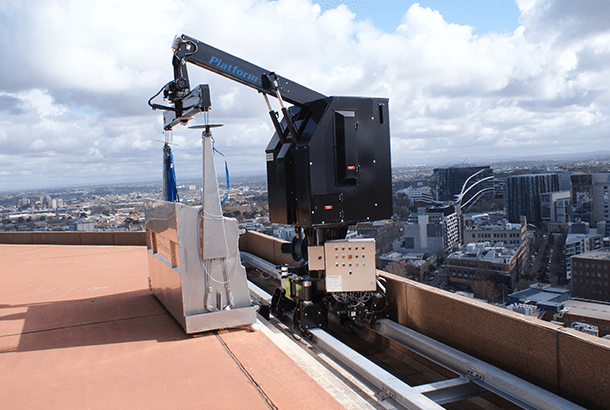 GDP worked with our partner, XS Platforms, to design and install a new BMU and track that would be located on the roof top. GDP sent personnel to the Netherlands to assist in the final assembly of the unit and to gain valuable knowledge to assist in its ongoing maintenance. 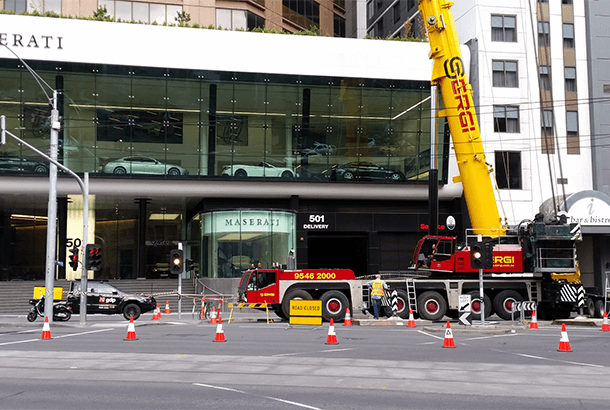 GDP project managed all elements of the installation, including the complex traffic management arrangements for the 350 tonne crane lift. The unit was installed without incident, tested and is now preforming as expected.